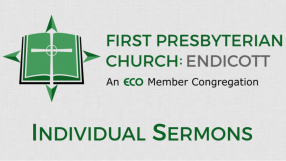 Sticky Faith- The Power of Investment 10-14-18 from FPC Endicott on Vimeo. We want to have a faith that sticks... that passes from one generation to the next. This series takes a look at the ways in which we can invest, pour into, and have conversations with people of all ages to create a multi-generational "sticky" faith.